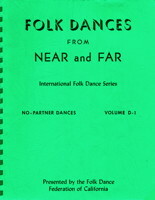 By the Folk Dance Federation of California, Inc.
Information: A series of books of folk dances. 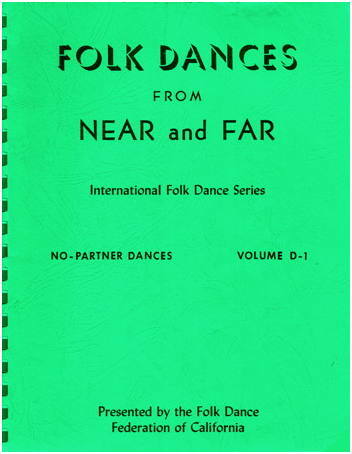 Dances from Near and Far, published by the Folk Dance Federation of California, Inc.. Berkeley, Cal. : California Book Co., 1945-1958. Other name: Folk Dances from Near and Far. Dances from Near and Far. Dances from Near and Far  Reprints of dance descriptions from Let's Dance! magazine. Folk Dances from Near and Far. Folk Dance Federation of California, Inc., an organization.